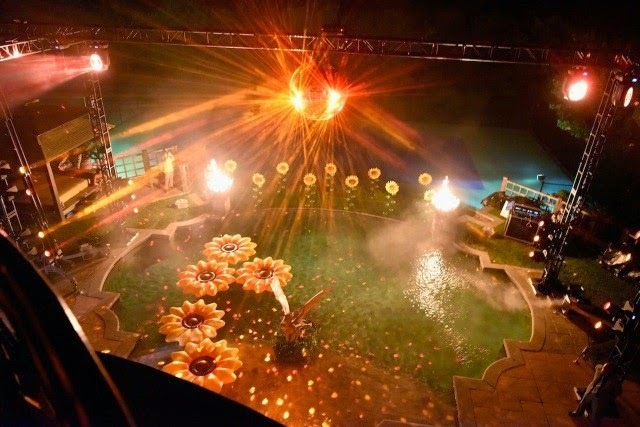 Upon entering the event, guests were treated to sun-inspired decor and delights, a Upon entering the event, partygoers were welcomed by giant sunflowers, leading them through the Castle grounds and into the party zone, where an impressively giant mirrored disco ball brightly shone above an infinity pool with state-of-the-art lighting effects, giving revelers the sense of dancing into the night under a blazing Midnight Sun. 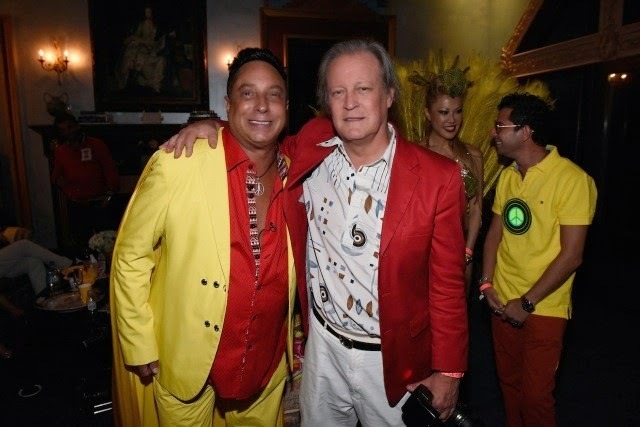 Everyone was dressed according to the mandatory party theme in the colors of the sun: bright yellow, red and orange. The guests were not only treated to sun-inspired décor, but also delights - a spectacular array of food to dine upon, with sun-inspired ingredients- from sunny-side-up eggs to sun-dried tomatoes, chicken crusted with sunflower seeds and specialty Midnight Sun cocktails, provided by Slovenia Vodka and Passion XO liqueur, which flowed by the dance floor. 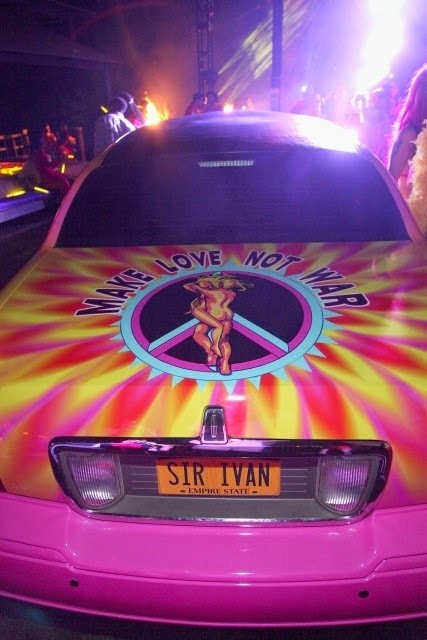 At the height of the evening, a yellow-caped Sir Ivan entered the party fashionably late and wowed the crowd with the debut of his "Peacemobile" -- a stretch limo wrapped in hippy icons, with 60’s style psychedelic graphics spelling out PEACE, and displaying the 60’s anthem "Make Love Not War" on both the limousine’s hood and trunk. 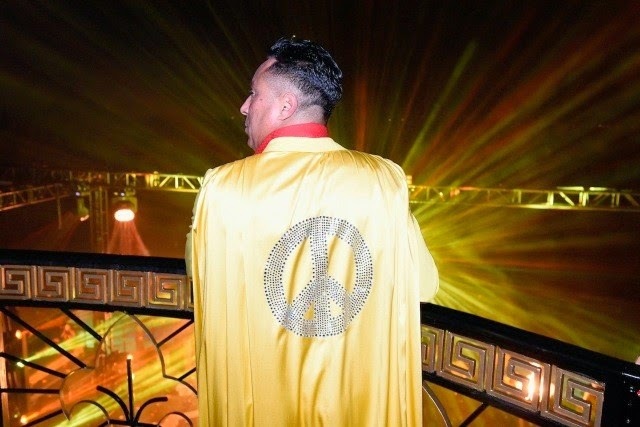 He stepped out of the Peacemobile together with his two favorite costumed companions, Peacebunny, decorated in an exotic outfit of gold and yellow peacock feathers, and, wearing a tiny yellow Peacecape, the Peace Puppy Bambi, his pet Chihahua. 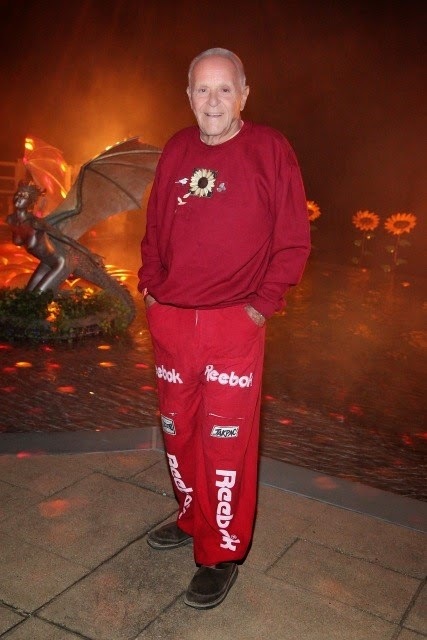 Sir Ivan then serenaded his guests with a performance of his new hit single, “Here Comes The Sun.” Fans lined up all night to take photos with the one of a kind set of wheels. Not since John Lennon did something similar with his Rolls Royce in the '60s, has anyone seen anything like it. Sir Ivan then announced to the crowd he is launching a nationwide anti - bullying campaign and taking the "Peacemobile" on a cross-country mission. He further stated that the road trip will end in LA where he will film the music video for "Kiss All The Bullies Goodbye," the anti - bullying anthem he co – wrote with FORD and Sin Morera. 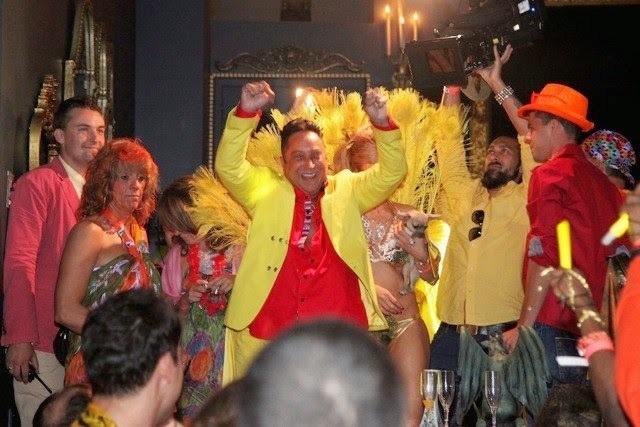 Produced by legendary DJ Paul Oakenfold, and featuring female vocals by pop star Taylor Dayne, the music video will be directed by MTV video award winner Erik White. Royalties from the various remixes of "Kiss All The Bullies Goodbye" are being donated to various LGBT anti-bullying organizations including The Trevor Project, where Sir Ivan has already pledged over 100,000 thousand dollars in support. 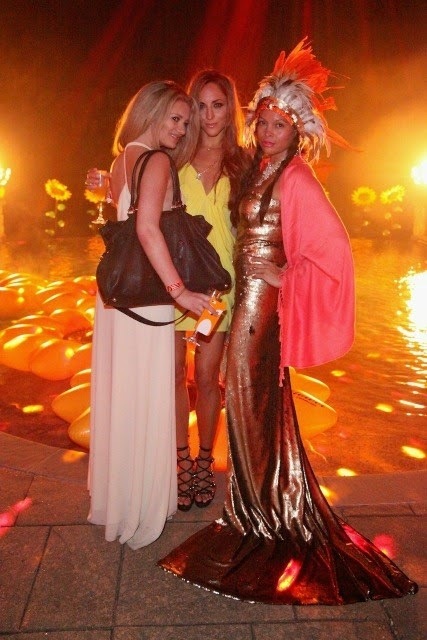 As the party went on, guests jumped in the infinity pool, lounging on giant sunflowers floats. 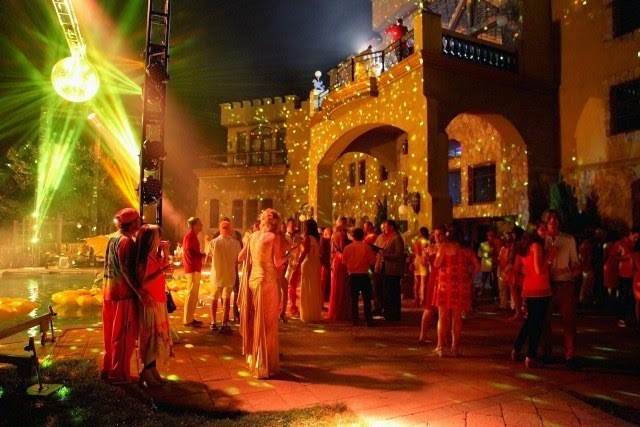 Guests stayed hydrated with Jana Water while the dancing spread into the castle and continued late into the night. 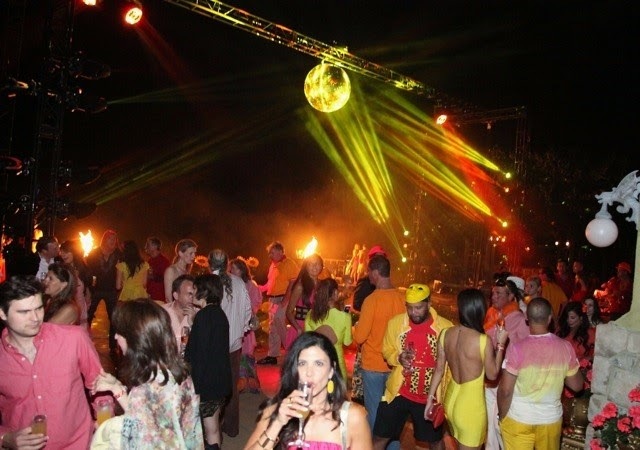 Check out this exclusive BEHIND THE SCENE for Sir Ivan's 2014 Midnight Sun Party.